A little trivia, Claire Carleton used to yuck it up in some Three Stooges episodes in her younger days. Back to the episode. Could horse racing be painted any worse? A deadbeat absentee dad who has accumulated lots of money making shady wagers. A trainer who doped horses pretty much against his will. Sick horses who shouldn't be racing could evidently win if given that right dope before a race, and then become sick enough to die after the race, and to the owner the horse was just a commodity, no tears shed by him on his way to his safe. Tax evasion too. Ugly ugly ugly. Stands were full of horseplayers, as it was the only game in town. Horse racing could overcome the bad rap because of lack of competition. Today, the industry pretends they are still overcoming the bad rap. Horses ran more often. An outfit could let a horse have 5 bad races in a row, and then try to pop when given the dope, which really must have drained a horse. Today, horses are given "the dope" a lot more often and they don't race as much because of it. 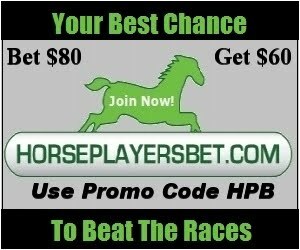 Because horses ran so often for much lower purses, there could be more money to be made on the betting side. That is hardly true today. Back then, you could either stiff a horse by having a jockey give a bad ride, not giving the dope, or giving the horse dope that made them run slower. Today, "the dope" is given pretty much strictly to try to win. In a sense, horses may tend to try more often these days, but that also leads to much smaller field size, and super trainers who care about their percentages, which makes many a race unplayable. You could cash a whole lot of money at the race windows back then without a red flag, and unless an ex wife ratted you out, you could live the high life, but if you got caught, no slap on the wrist, it was bread and water time for you. Track takeout back then was 14-16% mostly. You could maybe bet one or two exotic per card. Today, though many tracks charge around 15-18% for WPS, there are high takeout exotics each and every race, which means average takeout is closer to 21%. Back then, there was a perception that you could win. In fact, even though, the money made by the main character in the TV show was done so through deception, there was a message, that the game could be beaten. Today, that message isn't there. No visible winners beating horses against a 21% takeout, not even is a shady manner. Anyway, as far as drug integrity goes, unfortunately, things haven't gotten much better at all in 60 years.